On November 4th, Oregonians will vote to elect one of two US Senate Seats. 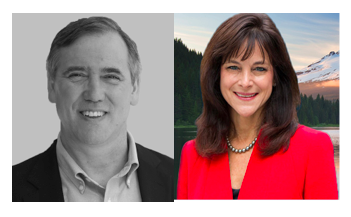 The race features incumbent Democratic Senator Jeff Merkley and challenger Republican Monica Wehby. Each candidate was given equal opportunity to respond to APANO’s questionnaire, to engage more directly with Oregon’s 220,000 Asian and Pacific Islanders. Their responses to 3 questions crafted by APANO members have been unedited and printed in full. APANO makes no candidate endorsements, this information is solely for the purpose of voter education. Jeff Merkley (D): We need to ensure that K-12 English Language Learners gain English language proficiency in a timely manner and are well prepared for college and careers. In order to achieve this goal, it is imperative that teachers have the tools and resources they need to provide high-quality instruction that will narrow the achievement gap and prepare all students for success. As a father of two children, I feel strongly that all children deserve the opportunity to attend college. I support the DREAM Act which would allow undocumented students who have been in the U.S. for at least 5 years the opportunity to become legal citizens by earning a two- or four-year college degree or by enlisting in the military for at least two years. I believe that all young adults, including children of immigrants, should be entitled to full educational access and equality. Monica Wehby (R): No response. Jeff Merkley (D): Affordable, quality health care should not be a privilege of the healthy and wealthy, which is why I strongly supported the Affordable Care Act. Although the initial implementation of the website to enroll people was a debacle, over 400,000 Oregonians overcame those challenges and now have health insurance under the Affordable Care Act. Hundreds of thousands of those people used to be uninsured. In addition, I have strongly supported increased funding for community health centers, which provide primary care and medical home in the communities where people live. Community health centers have a proven track record of providing culturally competent care to immigrants and minority communities. I have also fought to help a number of immigrant-serving organizations win federal grants to better meet the needs of newer Oregonians. As we work to ensure all Oregonians have access to health care, it is important to build cultural competency and improve outreach to communities of color. Although we have made great strides reducing the number of uninsured Oregonians, a disproportionate number of the remaining uninsured are immigrants and members of ethnic minorities. Reducing existing language barriers and building better cultural understanding between health care providers and patients will help improve access to health care for all. Jeff Merkley (D): My top priority is creating good-paying jobs. My father was a millwright and made his living with his hands and I know that if we don’t make things in America, we won’t have a strong middle class in America. That’s why I’ve stood up to China so American business and workers can compete on a level playing field and fought to close loopholes that encourage companies to ship jobs overseas. Because small businesses are so important to our communities, I have written and passed a tax cut for entrepreneurs starting new businesses. 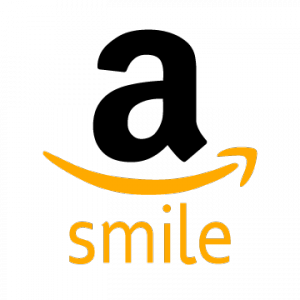 I wrote the law that allows small businesses to raise money from investors online so they can grow. In order to give everyone in our communities a chance to earn a living and provide for our families, I also supported the bipartisan comprehensive immigration bill, so millions of immigrants are no longer subject to exploitation and illegally low wages. For our communities to thrive, we need to bring people out of the shadows.